Hi I’m Mary Ann, a graphic designer from Lac du Flambeau, WI and currently based out of Madison, WI. I started college wanting to be a pharmacist to studying government & law to potentially working with Native American youth and fitness. It took me a while to realize my true love which has always been art. For as long as I can remember, I’ve always had a natural talent and passion for creating. Due to my attention to detail, I am constantly absorbing ideas from everyday life. 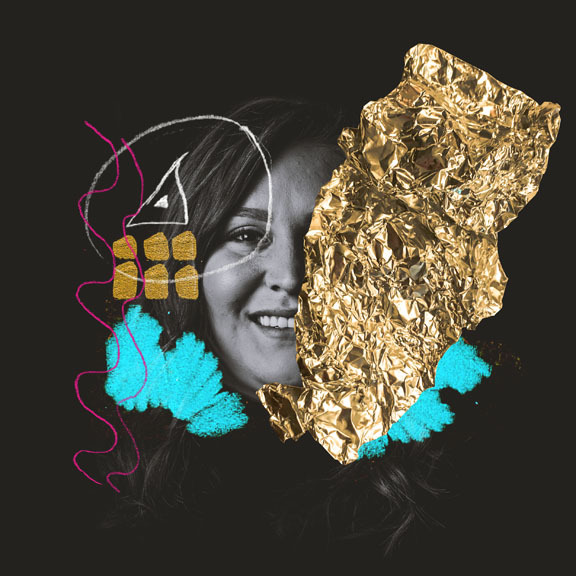 I am very passionate about design and driven to deliver beautiful work. Nike doesn’t just fit the world’s greatest athletes but they break boundaries and have always been a game changer in the design industry. 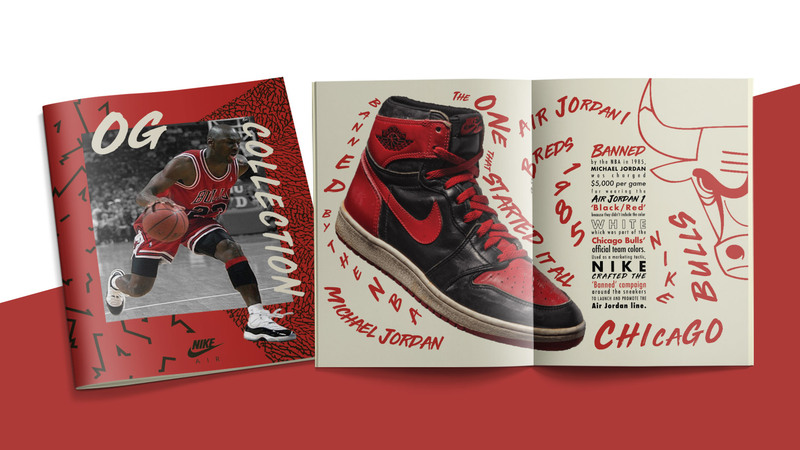 This booklet pays homage to Michael Jordan, the Jordan Brand, and the shoes he wore during his time in the NBA. The inspiration of the Jordan OG Collection booklet came from 90s retro styled Nike ads and today’s sneaker head culture. Our ingredients are in the name, Aki means “Earth” in Ojibwe language. Aki Elements is a real world product that I had the opportunity to brand top to bottom including the creation of the name. Aki Elements is committed to the practice of using natural resources as reflected in Ojibwe philosophy. 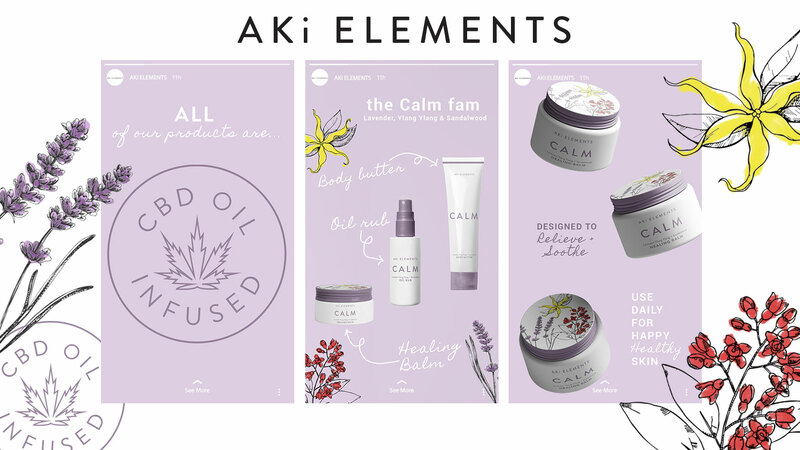 What makes Aki Elements stand out is that every single product will be infused with CBD oil. The Calm collection is comprised of a Healing Balm, an Oil Rub, and a Body Butter all will have scents of lavender, ylang ylang, and sandalwood. Time is up. Viserion has been resurrected as an ice dragon and Whitewalkers are south of the wall heading towards King’s Landing. Will fire, dragon glass, and a Valerian steel sword be enough to save the seven kingdoms? The Great War is finally here. I created this promotional website for the season finale for Game of Thrones. REI (Recreational Equipment, Inc.) is a retailer that sells quality outdoor gear. As apart of REI’s Opt Outside movement that encourages more people to reconnect and spend more time outdoors. The How to Roll a Sleeping Bag idea originated as a pocket guide which I then turned into an explainer video for REI with some animation. The Nike N7 Sports Summit event takes place at Nike World Headquarters in Portland, Oregon. N7 is the Native American division of Nike. Nike N7 includes a collection of sportswear available to anyone to purchase who is inspired by Native athletes and the N7 Fund that gives back to youth sports and physical activity programs in Native communities across North America. 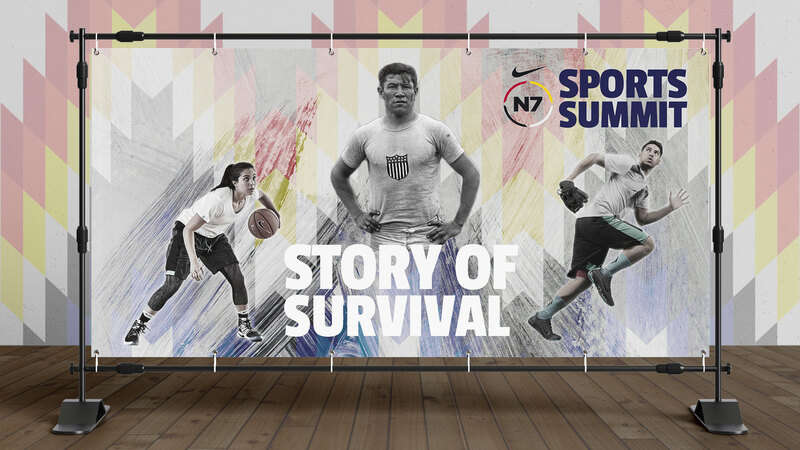 The Story of Survival theme showcases past and present Native American athletes such as Jim Thorpe, Jude Schimmel, and Jacoby Ellsbury.